Situated in Grand Rapids, this hotel is 0.1 mi (0.2 km) from Judy Garland Museum and within 6 mi (10 km) of Forest History Center and Pokegama Golf Course. Hill Annex Mine State Park and Deer River Wayside Park are also within 20 mi (32 km). Situated in Grand Rapids, this hotel is 0.6 mi (1 km) from Judy Garland Museum and 3 mi (4.8 km) from Forest History Center. Pokegama Golf Course is 3.8 mi (6.1 km) away. 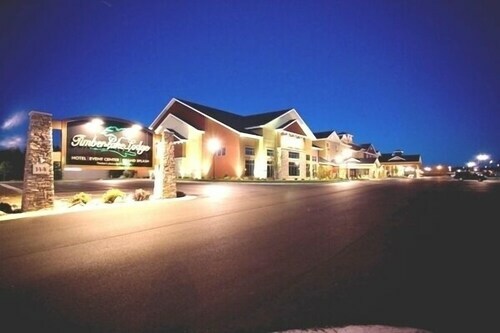 Situated in Grand Rapids, this hotel is 0.5 mi (0.8 km) from Judy Garland Museum and within 6 mi (10 km) of Forest History Center and Pokegama Golf Course. 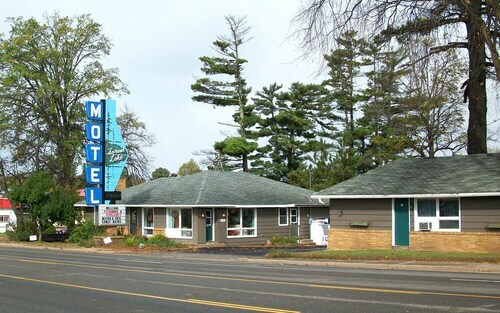 Situated in Grand Rapids, this motel is 3 mi (4.9 km) from Judy Garland Museum and within 6 mi (10 km) of Forest History Center and Pokegama Golf Course. Deer River Wayside Park and Hill Annex Mine State Park are also within 20 mi (32 km). Situated near the airport, this hotel is 2.5 mi (4 km) from Judy Garland Museum and within 6 mi (10 km) of Forest History Center and Pokegama Golf Course. Hill Annex Mine State Park and Deer River Wayside Park are also within 16 mi (25 km). How Much is a Hotel Room in Grand Rapids? Hotels in Grand Rapids start at $75 per night. Prices and availability subject to change. Additional terms may apply. Planning a trip and searching for enticing accommodation options around where the locals stay in Grand Rapids? You will find 4 lodging options within a 6-mile (10-kilometer) radius of Grand Rapids that ought to be right for you. Discover the sights within walking distance of the downtown precinct of Grand Rapids. 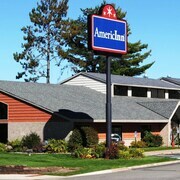 Rooms located in this area include Americinn Grand Rapids and Super 8 Grand Rapids Mn. 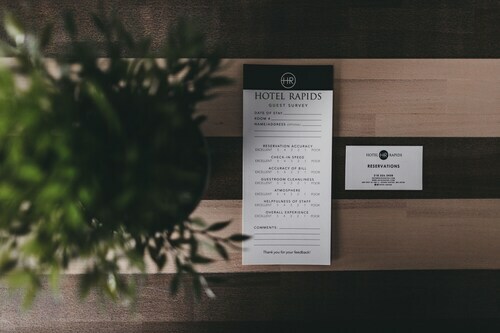 Located 3 miles (4 kilometers) from downtown Grand Rapids is the Hotel Rapids. 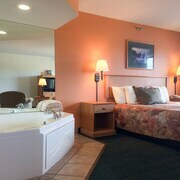 2 miles (3 kilometers) away is the Itascan Motel, another wise choice. If you are inspired to discover some more of the forests common in this area of United States of America, you could also book a few extra days in Northeast Minnesota. Take part in snowboarding and skiing or make a trip to the district's local attractions. Suitable Travelocity accommodation options will cater to your needs. If you are in Northeast Minnesota, you can make a visit to the U.S. Hockey Hall of Fame and spend a night in Virginia, which is found 50 miles (82 kilometers) to the northeast of the middle of Grand Rapids. 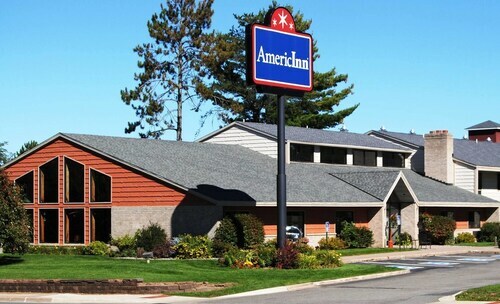 Make a selection from the AmericInn Lodge & Suites Virginia and Coates Plaza Hotel. Grand Rapids is blessed with some fantastic attractions for visitors and locals alike; discover more using our informative Grand Rapids accommodation and attractions guide. Very dirty motel,and it had a very musty smell it looked like nothing had been cleaned at all. Dated looking room. Tv remote was not fully opperational. Beds were in need of new mattresses, the breakfast was horrible (rubbery eggs, burnt & cold bacon. We have stayed here for 3 years now while on a fishing trip. Love the location, rooms, and restaurant is the best. Price is right! Don’t hesitate to book this hotel, it will not disappoint. We were looking for these values in GR. We viewed poor reviews from several months before but the owner had responded with an apology and indicating his intent to correct. A more recent review indicated improvements were done. We decided to take a chance and we're pleased we did. It's not a 4 star hotel but well worth the price. 3.0 Older motel, very large rooms. They gave us a two room unit. Lighting was poor once you draw the drapes. The WiFi was very poor. Bed was comfortable and so were the two chairs. Air conditioner worked well. Pricey for the age and condition. Luxury Modern Cabin on Deer Lake ! Snowmobilers Welcome! HOT TUB for 2018! Lakefront Deer River Apt W/dock, Fire Pit & Patio!